Download the free Country Rock style, and expand the capabilities of your microARRANGER. This compact keyboard can quickly turn your ideas into songs, and also allows you to play your favorite songs with a full backing arrangement – instantly! 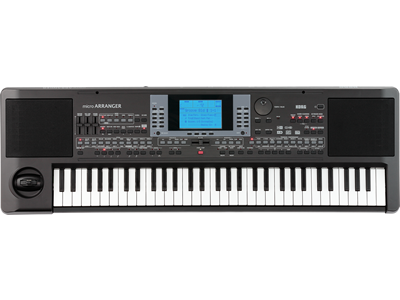 The Korg microARRANGER turns the hit songs in your head into reality. Each time an original melody or tune comes to mind, it may often require substantial expertise, equipment, and time to turn that idea into a complete song in the same way that a professional musician or arranger might do. 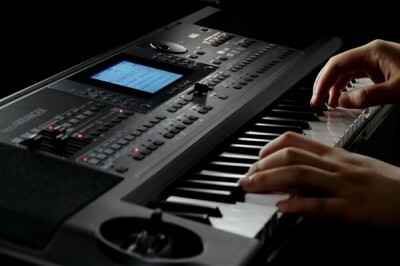 Korg’s microARRANGER offers an easier way for you to enjoy the satisfaction of composing original music. Even with modest keyboard skills, you can simply choose a musical Style to match your idea, tap in the tempo, hold down the chords with your left hand and pick out the melody with your the right hand, and listen as your musical idea takes shape! From the keyboard novice to the seasoned professional, the microARRANGER can transform your ideas into a more complete, fully realized, and more impressive song than you might ever imagine. Styles follow your chords, voice leading, and tempo settings – you are always in control! The microARRANGER features 61 Natural Touch mini-keys proportioned for comfortable playing. The stereo speaker system is conveniently contained inside the microARRANGER’s compact body. Lightweight and portable, the overall length is only 87 cm, and the microARRANGER weighs a mere 5 kg. Just turn the power on, and start turning your ideas into reality immediately; there’s no need to connect any other equipment. Whether you use it as a convenient musical notepad or as a full-fledged compositional tool, the microARRANGER is a powerful platform for your creativity in many ways. The microARRANGER provides 304 Styles from such diverse musical genres as jazz, piano ballads, Latin, pop, and rock. Each one can assist you in producing pro-quality songs. Each Style includes intros, endings, fills, and breaks that can be used to accent a section or change the course of the song. Four variation of each backing Style are provided; each offers a different level of instrumentation or activity, allowing the song to build and alternate between sections. These backing variations can be quickly switched simply by pressing a button on the panel. The microARRANGER’s sophisticated chord scanning function detects not only standard chords such as major and minor, but also complex ones such as 9th or 11th chords – as well as inversions – ensuring that the musical parts generated by the Style will correctly follow the most ambitious chord progressions. You are free to edit these styles, and store up to 48 of them in internal memory. New styles will also be available for free download at korgpa.com. By adding your own favorite Styles allows you to “customize” your microARRANGER for even more enjoyment. Just set the tempo, play a few chords, and the Style Play function will begin to create music. With each Style, the microARRANGER follows your chord changes, voice leading, and the tempo you set to create additional musical parts to enhance your song.This can be something basic like a drum and bass rhythm section, an extra guitar part, all the way up to a stompin’ R & B combo with a full horn section The choice is always yours. You can develop your song by selecting a Style that’s appropriate for the melody you have in mind, or try selecting various styles and playing around to see what melodies your imagination will come up with. You can also try different Styles with the same melody, to see if a different arrangement may better serve your song. By allowing the microARRANGER to take charge of the accompaniment and arrangement, you’re free to concentrate on your songwriting without losing that initial flash of inspiration. It’s an easy way to complete a rough sketch of your entire song. The microARRANGER is equipped with powerful tools to capture your musical performances; and with different modes optimized for different uses. There are two ways to record using the sequencer. There are two ways to record using the backing sequencer. Realtime Recording captures everything in one pass, as you play. Each part you play, and each part the microARRANGER’s Style engine plays, will be captured on a separate sequencer track. This allows any part to be edited independently at a later time. With Step Recording, the chords can be entered one at a time, and you can tell the sequencer how long to play each chord, specified in beats and measures. Additional parts, fills, variation changes and other musical information can all be entered in this way. This method is ideal for creating a step-by-step foundation for your song, without needing to rely on advanced keyboard skills. This is a conventional one-track-at-a-time sequencer, like those found in a computer program or a workstation keyboard, with 16 tracks and a capacity of 56,000 notes. Using the Song Sequencer, you can layer additional melodic parts onto a song created using the backing sequencer. This is a convenient way to add the finishing touches required for full-fledged song production. Sequence data created on the microARRANGER is also compatible with Standard MIDI Files, so you can import it into your DAW or software sequencer. In your PC you can perform further editing or add vocal tracks to bring your song data to its final stage of completion. The microARRANGER is packed with the high-quality 662 sounds, 33 drum kits and 89 effects you’ve come to expect from Korg. There’s a great selection of the sounds that pro musicians and producers use in the professional workplace – pianos, electric pianos, and organs; thick basses; realistic winds and strings; and tight drums – all instantly available for your immediate use. Also included are numerous high-quality effects, rivaling the quality of dedicated processors. These effects allow the creation of finished productions and audience-ready songs, without the need for any additional equipment. 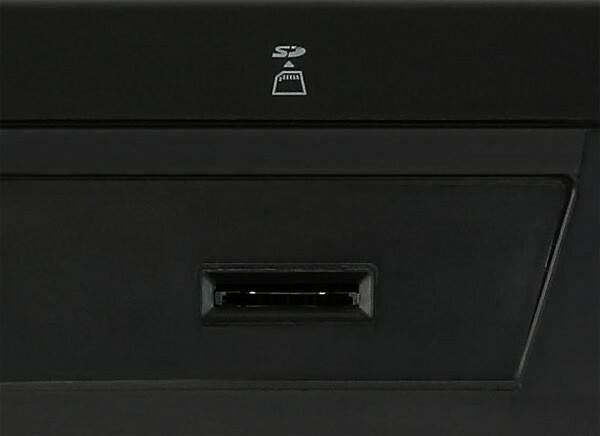 Using the microARRANGER’s SD card slot, additional style data can be loaded directly from your PC via SD card; it’s also easy to transfer data to your PC. 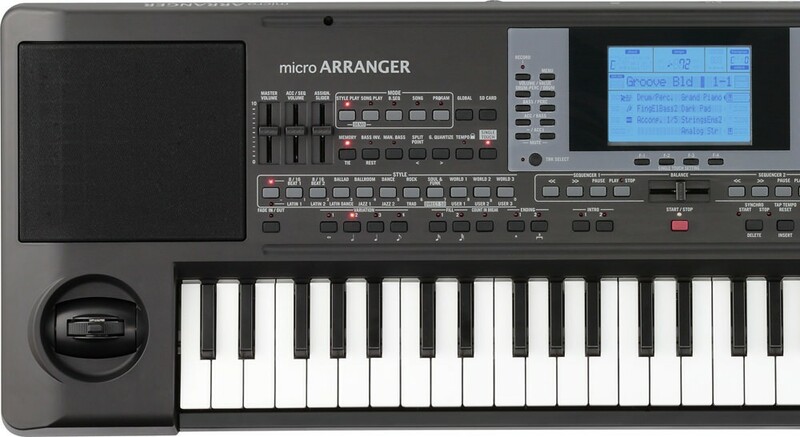 Although the microARRANGER’s mini-keyboard is compact, it has been designed for great playability and a comfortable touch, with box-shaped keys and careful consideration of the proportions of the white and black keys. 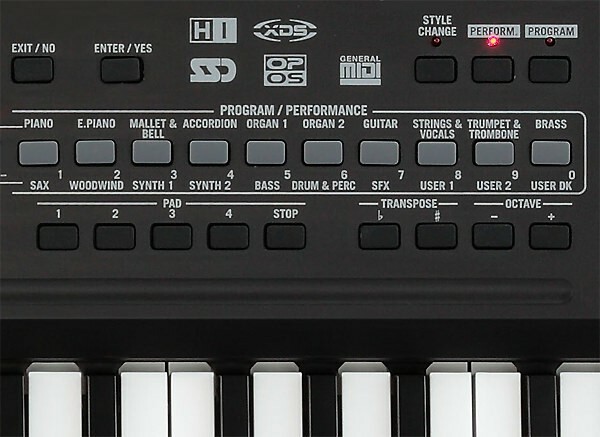 With a 61-key range, you’ll be able to play using both hands for musically rich performances, or easily provide backing for a guitarist or vocalist — a great way to experience the enjoyment of playing in a band. Another great feature for realtime performance is the panel crossfader that controls the XDS crossfade dual sequencer, letting you control the volume of both sequencers with a single knob for smooth transitions between songs. The compact size allows the microARRANGER to be taken anywhere for your musical enjoyment.